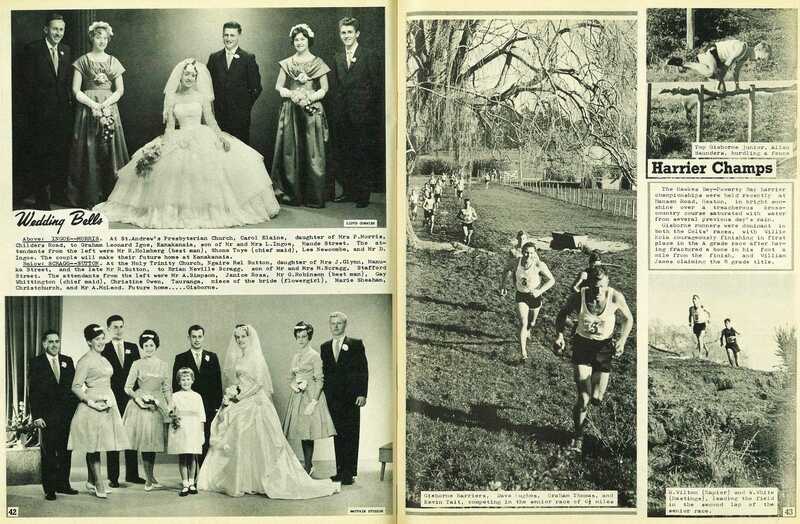 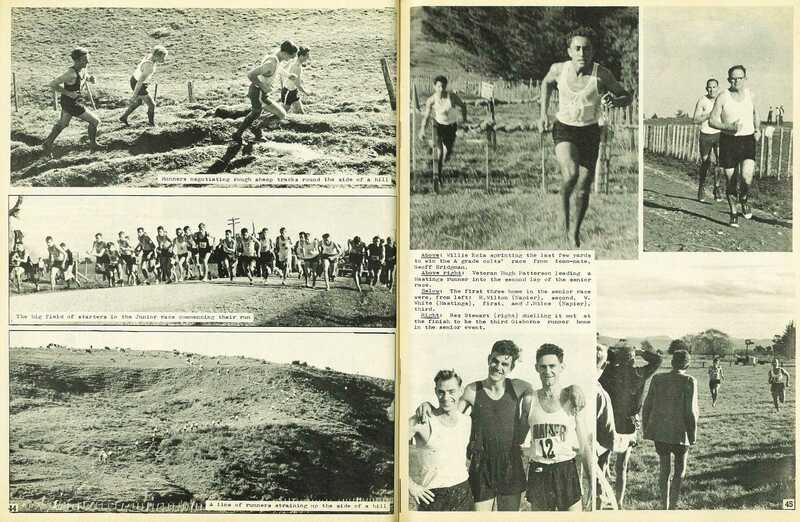 The Hawkes Bay-Poverty Bay harrier championships were held recently at Hansen Road, Hexton, in bright sunshine over a treacherous cross-country course saturated with water from several previous day's rain. 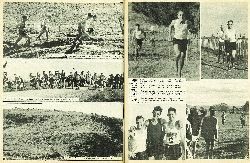 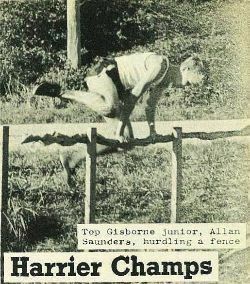 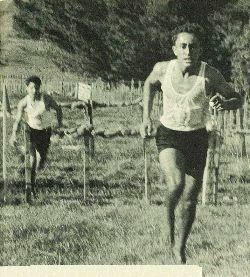 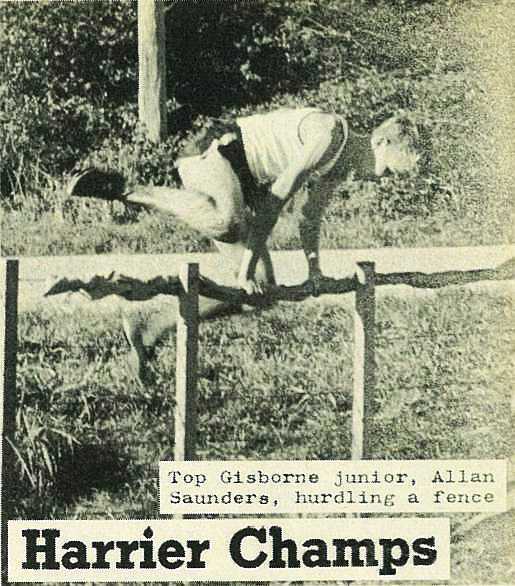 Gisborne runners were dominant in both the Colts' races, with Willie Koia courageously finishing in first place in the A grade race after having fractured a bone in his foot a mile from the finish, and William James claiming the B grade title. 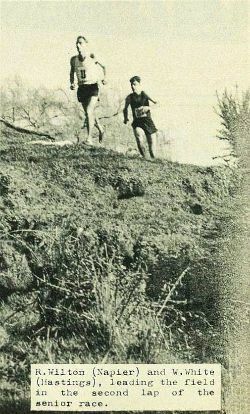 R. Wilton (Napier) and W. White (Hastings), leading the field in the second lap of the senior race. 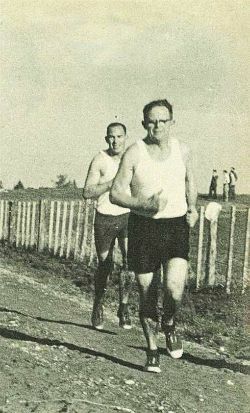 Willie Koia sprinting the last few yards to win the A grade colts' race from team-mate, Geoff Bridgman. 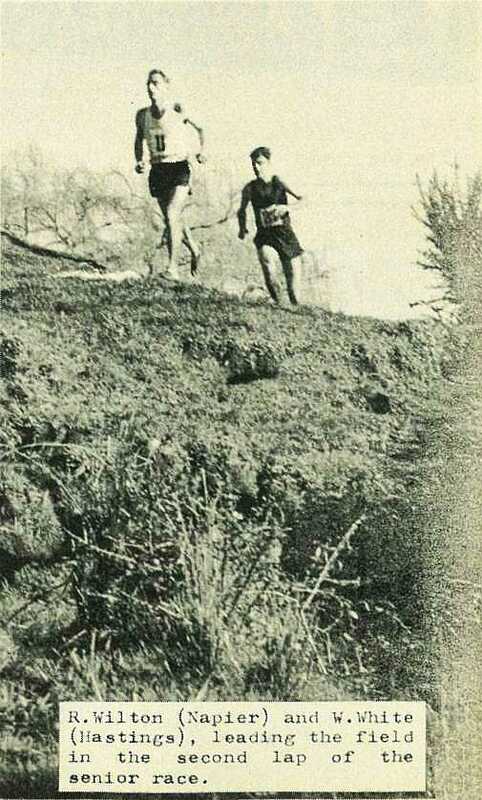 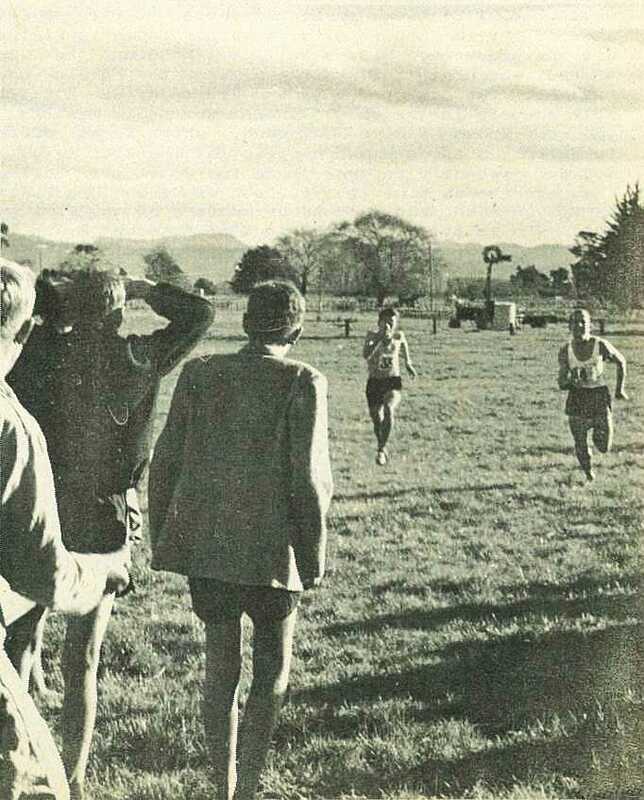 Veteran Hugh Patterson leading a Hastings runner into the second lap of the senior race. 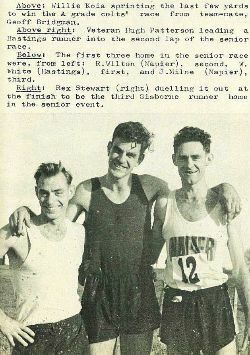 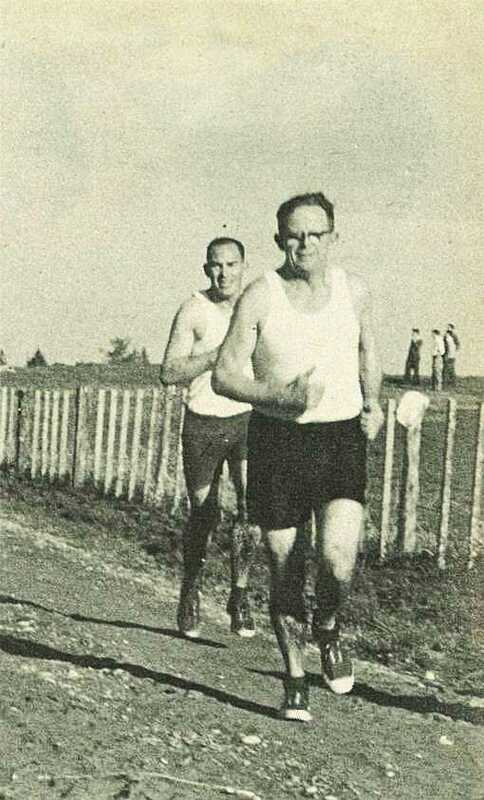 The first three home in the senior race were, from left: R. Wilton (Napier), second, W. White (Hastings), first, and J. Milne (Napier), third. 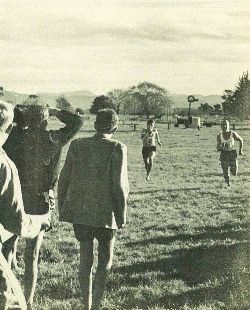 Rex Stewart (right) duelling it out at the finish to be the third Gisborne runner home in the senior event.